Dr Iorio is Professor of Medicine and Health Research Methods, Evidence, and Impact at McMaster University. 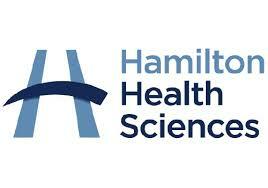 He is Chief of the Health Information Research Unit and of the Hamilton-Niagara Hemophilia Program. Dr Iorio is an Associate Editor of the Cystic Fibrosis and Genetic Disorders Review Group of the Cochrane Collaboration, and a member of the editorial board of BMC Diagnosis and Prognosis, Haemophilia, and Journal and Thrombosis and Haemostasis. He is Chair of the Data and Demographics Committee of the World Federation of Haemophilia (WFH), member of the GRADE working group, Member of the Guideline Oversight Committee of the American Society of Hematology and of the Guideline Committee of the American College of Physician. Click here to find Dr Iorio's Faculty listing.